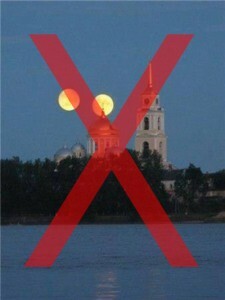 The latest article in the Upstate NY Stargazing series, “Upstate NY Stargazing In March: Messier Marathon and the Lunar Occultation of Aldebaran,” has just been posted to newyorkupstate.com and syracuse.com. * Prof. Leslie Hebb’s Cazenovia College Science Cafe lecture, “Distant Worlds: What We Know About Extra-Solar Planets And Their Potential For Habitability” was a great success this past Wednesday and we look forward to announcing and co-sponsoring future astro-related events. * With one day to go and the potential for clear skies, interested parties are encouraged to read up on how to observe – and record – the lunar occultation of Aldebaran on the night of March 4th. * And, finally, the March article is the perfect time to introduce new observers to Messier Marathons prior to any attempts of the same at month’s end. 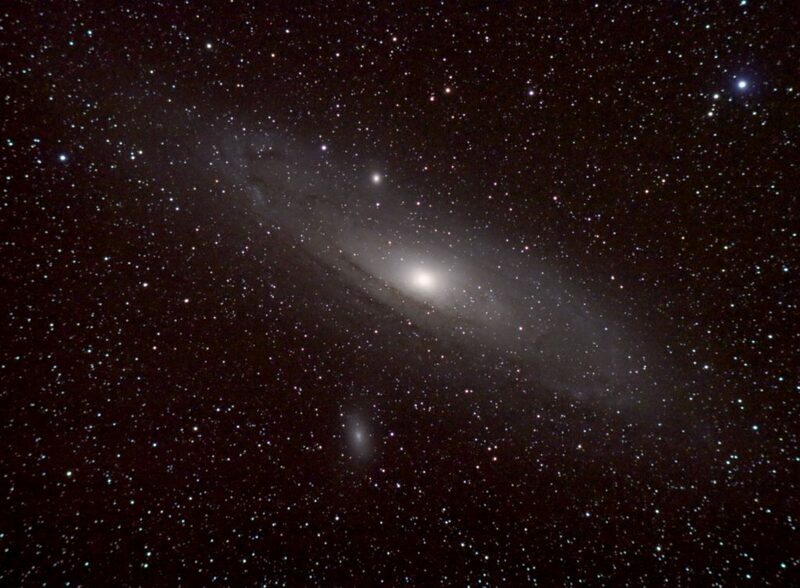 Caption: M31, the Andromeda Galaxy, and its satellite galaxies M32 (a hazy star just above-left of M31’s center) and M110 (the oval structure below-left of M31’s center). 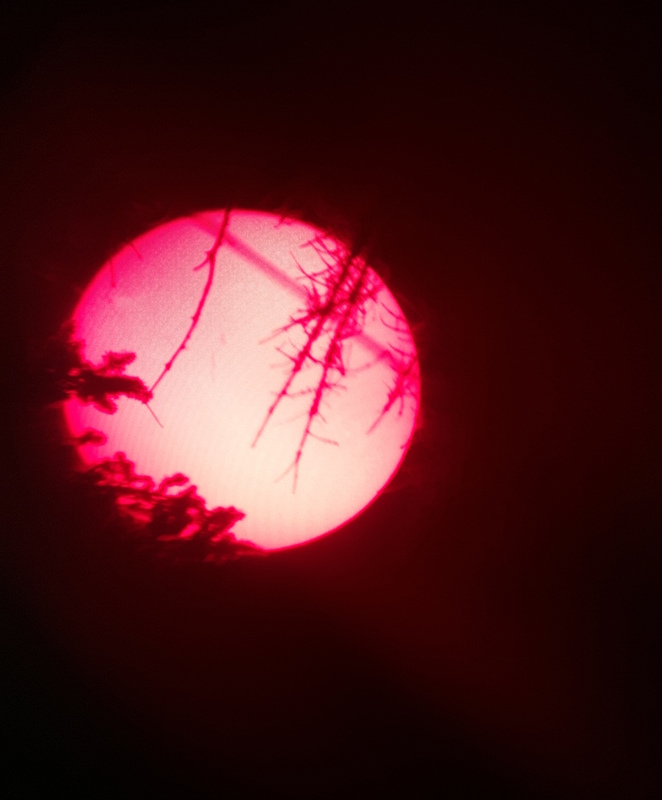 Photograph taken at Kopernik Observatory & Science Center by Kopernik Astronomical Society member George Normandin. Click for a larger view. 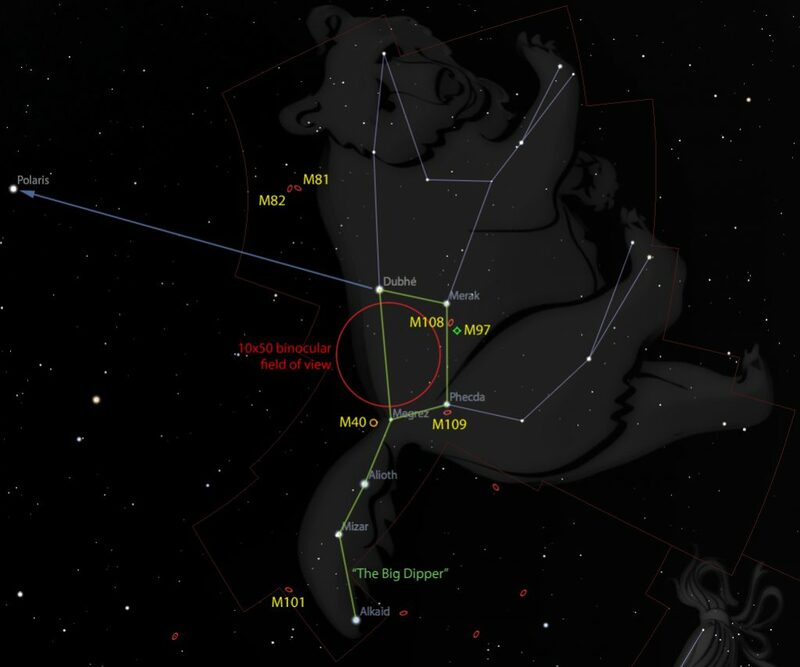 Turning our attention to the North, and in anticipation of a larger discussion about circumpolar constellations, we introduce Ursa Major – a great, easy-to-find constellation with a small fortune in Messier Objects. Caption: Ursa Major and the Big Dipper, including brightest star labels, the locations of Messier Objects, and an arrow to follow to the north star Polaris. Click for a larger view. 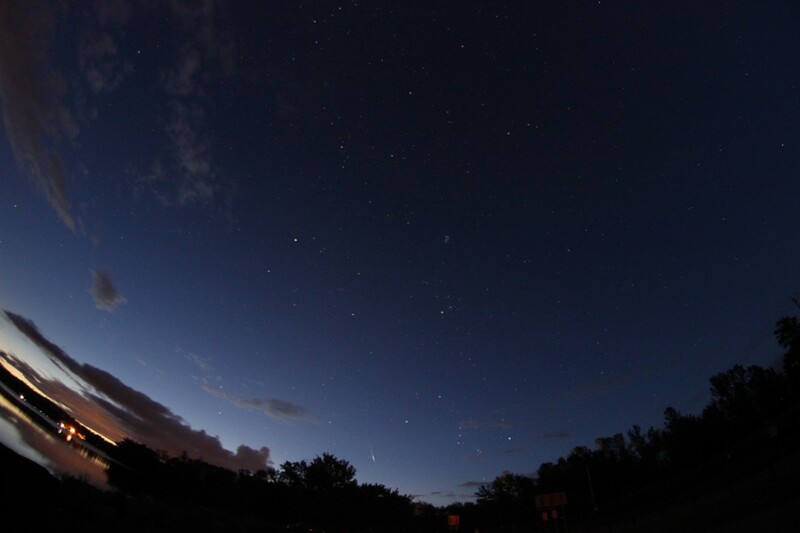 With Perseid Week just behind us, Bob Piekiel and I set up shop for one final Summer 2015 observing session at Clark Reservation. 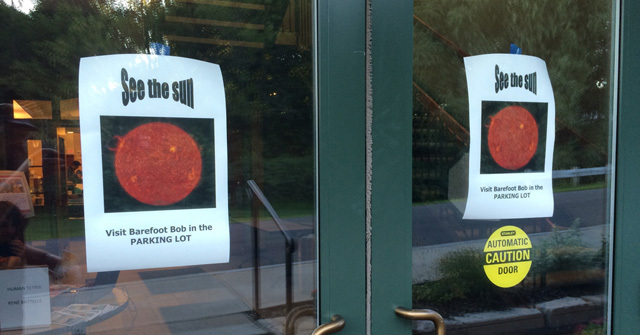 As was mentioned in a Clark Reservation post from last year, it isn’t a great location for heavy-duty amateur astronomers – Syracuse (and its light pollution) lies very close to my hometown of Jamesville (or vice versa, I guess) and even thin cloud cover acts as a dirty mirror to brighten the ground (and sky) around us. For the new observer, however, Clark Reservation is an excellent spot to get one’s feet dewy – it’s close to civilization (and easy to find) and the light pollution wipes out many of the dimmest stars (it probably isn’t far off to say that the sky goes from 2000 to only 400 visible stars thanks to stray city light), making constellation identification significantly easier. Early attendees listening to the first welcome lecture. The session started slowly enough around 8:00 p.m. with a small group of attendees present for our introductory observing lecture/white light warning/usual canned schtick. It wasn’t until after we hit the 40 people mark that I found out that this session was mentioned in the Post-Standard paper as a Weekend’s Best. As we hit the near-80 people mark, we both turned up the lecturing knob to keep people informed and entertained as the observing lines cycled through our two scopes. The crowd was excellent, interactive, and very patient. 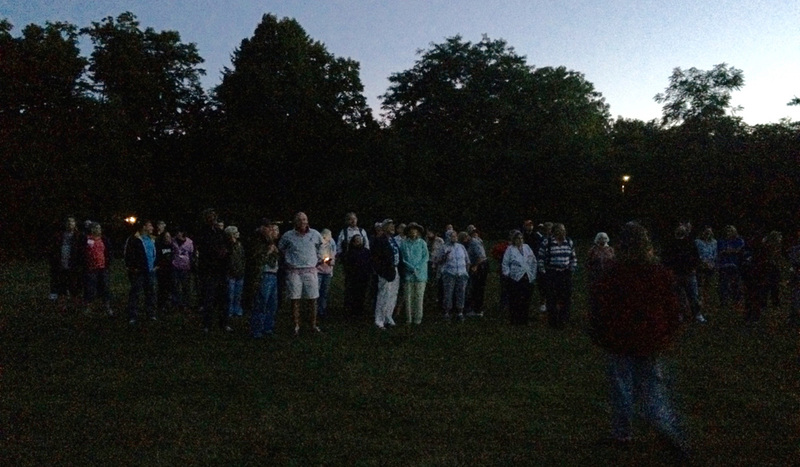 A shot of half the crowd waiting for the ISS. Early in the evening (including before sunset), non-solar observers have the Moon in all its grandeur (itself possibly the best observable there is for amateur astronomy). 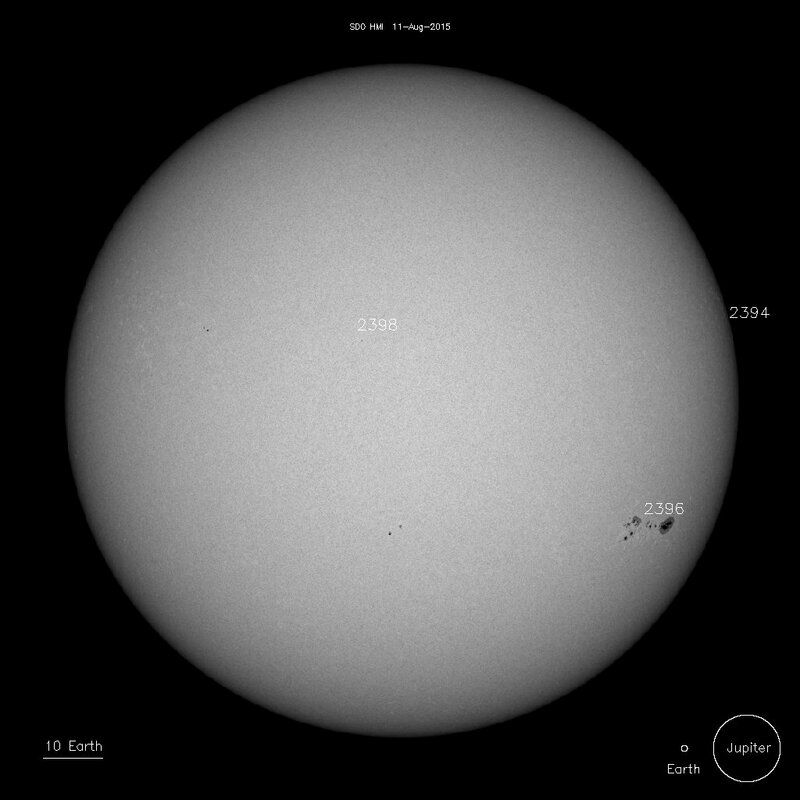 While all of the classical planets (Mercury, Venus, Mars, Jupiter, and Saturn) can also be observed, they require a little more time to get to the point of being interesting. Maybe 20 minutes after sunset. By the time that Vega, Arcturus, Deneb, Antares, and Altair are visible (usually coincident with the planets), the most prominent double stars in the sky are visible enough for decent magnification (here, specifically mentioning Albireo in Cygnus and Mizar and Alcor in Ursa Major). Another 20 minutes later, the brightest Messiers are visible – specifically M57, the Ring Nebula in Lyra and M13 in Hercules. 20 minutes later, some of the dimmer Messiers become (just) observable – here, the Andromeda Galaxy (M31 and M32) in Andromeda, and M27, the Dumbbell Nebula in Velpecula. 20 minutes later (so we’re now 80 or so minutes after sunset), the Messier gates flood open and one can begin to make out more objects than can usually be gotten through with a +40 crowd in 2 hours anyway. Add to this list the ISS, Iridium Flares, random other satellites, a few shooting stars, and some of the detail of the Milky Way inside of Cygnus and down to as much of Sagittarius as the tree line will allow, and you’ve (hopefully) gone a long way to introducing a brand new observer to some of the very best sights available in the nighttime sky (with the above list obviously biased towards the Summer and Fall skies). To the list above (with only Saturn and Neptune in the planetary observing list), we added at least two meteors (one in the right direction for a Perseid, one not) and a dimmed, by still present, Milky Way band. The lecturing itself didn’t stop for the entire two hours, and we were thankful for the questions that kept us (and others around us) occupied. 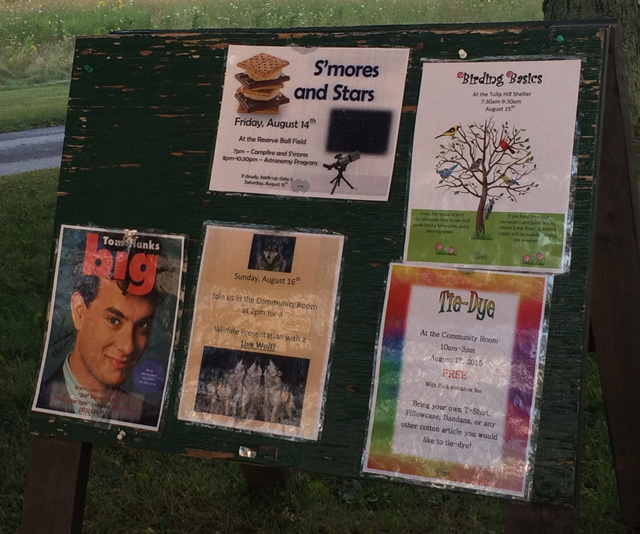 With the end of Summer in sight, part of CNYO’s yearly outreach will now include more library lectures and, of course, Bob’s monthly sessions at Baltimore Woods. Stay tuned for event announcements!